American journalists are targets in a way they have never experienced before. 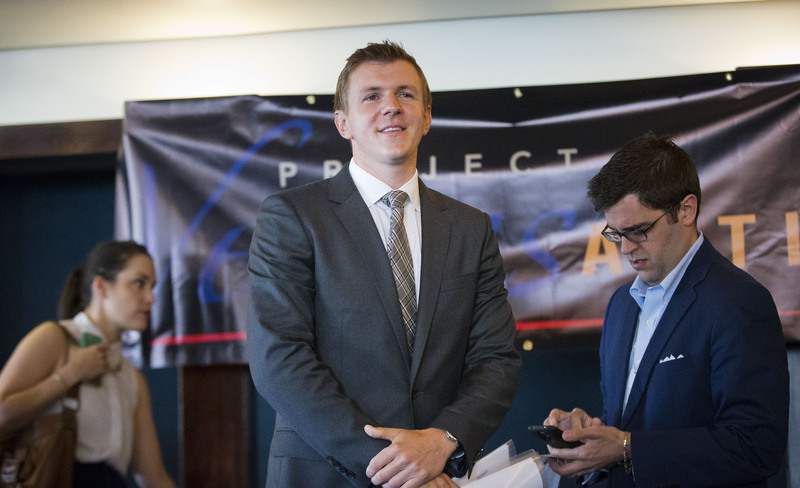 Conservative sleuth James O’Keefe is ramping up his effort to take down the mainstream media by enlisting the help of ordinary citizens to go undercover and expose wrongdoing in newsrooms around the country. I would love to get every journalist using 2-factor logins and every newsroom doing phishing pen-testing. I'm beginning to think we need an organized campaign to do it. Because the big hack is coming, I just know it. An easy start: should we organize everyone here to tweet under a particular hashtag on the same day? Someone, perhaps it was Bruce Schneier, suggested that mass use of encryption even (and especially) for mundane communications would create such a wide field that targeting journalists and other sources would become much more difficult to do. I don't know how many people read this forum, but I suspect it's not enough to create a real distraction. As a post script, I'm not a reporter and I don't use Twitter. James O'Keefe is a right-wing hack/tool and a sorry excuse for a journalist, in my opinion. I don't take him seriously after he deliberately misrepresented ACORN in a heavily edited video that led to the organization being defunded on a Bill of Attainder, and ultimately dismantled unjustly. ACORN was never found guilty of any wrongdoing. Then he attempted to orchestrate a socially engineered hack of Senator Mary Landrieu's office (Louisiana) but got caught and arrested along with two other friends. Nothing credible about this guy. Anyone who does not follow, adhere or make themselves accountable to a code of ethics is not a journalist, and shouldn't be called one. Doctors who do not follow a code of conduct are called quacks. What name can we come up for rule breakers in news media?